Toxic waste, the mafia, and corrupt politicians: a marriage made in Italy. In the region around Naples, the local branch of the mafia – the Camorra – has for decades been involved in dumping toxic waste exported by rich industrialized countries such as Germany, as well as from the industrial zones in northern Italy. In the current issue of National Geographic, Greg Kahn has a powerful photo essay on toxic waste in the Campania region of central Italy. 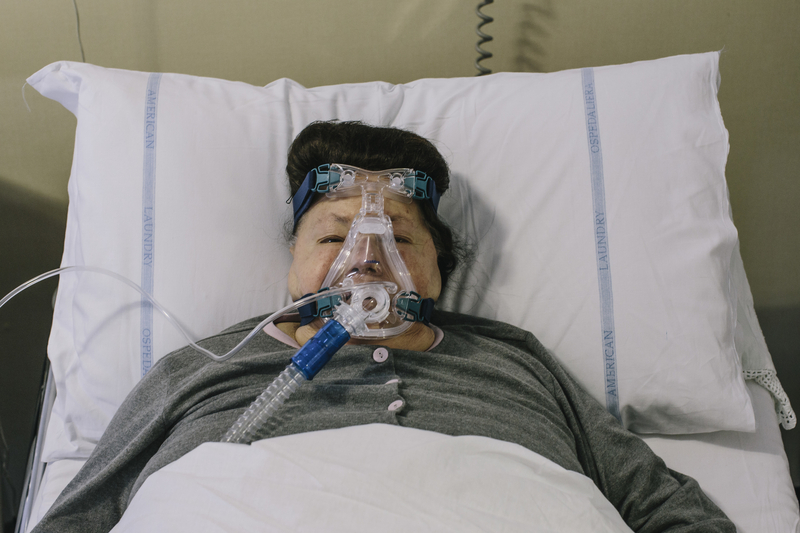 The image above from the series is of a lung cancer patient, one of the many residents of the region suffering from heightened levels of cancer as a result of the toxic dumping. One of the most well known exposés of organized crime in Naples, Roberto Saviano’s Gomorra (subsequently made into a film of the same title by Matteo Garrone), touches on this problem of toxic dumping. Here’s a trailer for the film. A lot more could be made of this history of toxic waste in Italy. Most of the public in Italy knows about this, but relatively few outside the country are aware of this kind of abuse. There are parallels in the US, particularly in the cancer alley in Louisiana focused on in Richard Misrach’s powerful book Petrochemical America. This account of what Misrach and Kate Orff call our country’s petrochemical “sacrifice zone” in turn inspired the recent TV series True Detective. It’s highly appropriate that a detective series be set in this toxic landscape. In Italy, in fact, there’s a whole series of novels called “verde/nero” or green detective novels, the premise of which is to reveal the various forms of environmental violence done by the “ecomafia.” It’s published by Legambiente, one of Italy’s major environmental groups, and contains some very interesting titles exploring many of the major facets of the environmental crisis, past, present, and future.